Why Tech Tonics Hosting? Tech Tonics provides local support with competitive rates and quality service. We have been building websites since 1993 and, over the years, we found that hosting services vary widely in terms of features, price, performance and support. As a service-oriented company, Tech Tonics wanted to ensure consistency of service, quality and value for our customers' hosting needs, so we did extensive research and began offering hosting services directly to our clients in 2006 through a virtual private server in a secure, reliable, remote data center. You can go out and get hosting a bit cheaper elsewhere, and deal with a stranger in a call center when you run into issues. You can also pay a lot more for a dedicated on-site server, or you can take a balanced approach and get local support with the reliability of a secure data center through Tech Tonics. 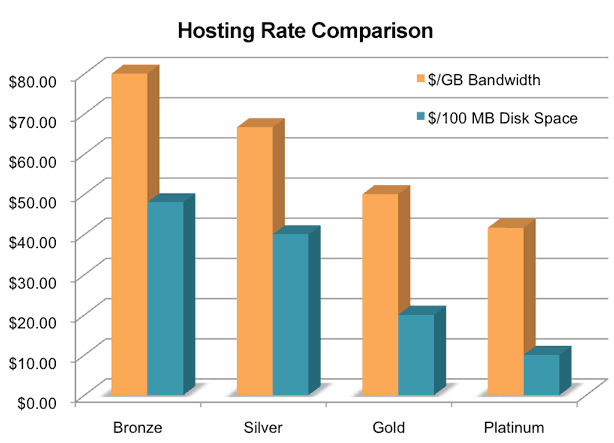 Click the tabs below for web hosting rate comparison and email hosting plans.